Josslyn thanks Nelle for saving her life and is glad that it all worked out. However, she gets upset with Carly about how it all went down. Josslyn feels her parents don&apos;t respect her and storms off. Nelle offers to talk to her. Tracy meets with Paul and accuses him of not spending enough time with Dillon. Paul says he can&apos;t force the relationship. Tracy says Dillon&apos;s in trouble and explains about the STI. Tracy feels Dillon is making bad choices and wants Paul to step in. Tracy brings up Susan&apos;s name, which angers Paul. Tracy backs off. Nina tells Curtis that she wants a baby and she wants him to find her one. Curtis mentions adoption. Nina says no one will give her a baby considering her past. Curtis tells her to get a lawyer, but Nina isn&apos;t interested in that option either. Curtis accuses her of wanting to buy a baby, which Nina vehemently denies. Nina declares that she&apos;s going to find a baby on her own. Curtis finally agrees to help her. Ava tries to convince Dillon that Morgan is bad for Kiki, but that he would be good for her. She emphasizes that Kiki would be happier with Dillon. Ava feels that Dillon needs to give Kiki a push. He says Ava&apos;s trying to control Kiki and he won&apos;t be a part of it. Morgan has a meeting with Andre. He claims that everything is fine, but Andre sees through it. Morgan mentions that Ava is against him. He worries that he won&apos;t realize when he&apos;s losing it. Andre reassures Morgan that he&apos;s fine if he continues with his therapy and his meds. Sam accepts Jason&apos;s proposal, but wonders if it&apos;s just about the baby. Jason says he had always planned on asking and it was just a matter of when. Jason gets her to promise not to keep things from him anymore. Sam gets a call that the baby is fine. Kiki finds her car has a flat tire and tries to fix it herself. Dillon finds her. He fixes the tire for her. Dillon admits that Ava tried to have him break up Morki. Carly apologizes to Jax. 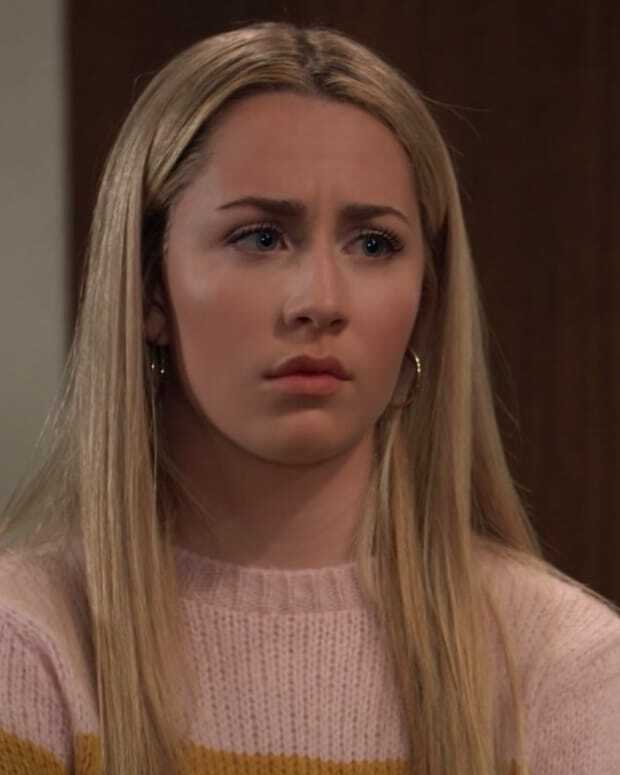 She admits he was right about his concern for Josslyn. Josslyn complains to Nelle that they all went behind her back and told her nothing. Nelle rationalizes that they couldn&apos;t tell her anything until they knew for sure that she was the donor. Nelle says she doesn&apos;t have anyone on her side like Josslyn does. Michael questions Sonny about his concerns for Jax. Sonny feels that Jax is hiding something. Ava spots Morgan leaving Andre&apos;s office and manages to take some of his pills out of the bottle. Nelle says her goodbyes and promises to stay in touch. Jax calls someone to tell them that Nelle won&apos;t be an issue anymore. Carly asks if Nelle is willing to stay for awhile.